TURN EVERY PRODUCER ON YOUR TEAM INTO A TOP PRODUCER BY PROVIDING THEM WITH THE BEST PRACTICE SCRIPTS THEY NEED TO SUCCEED. 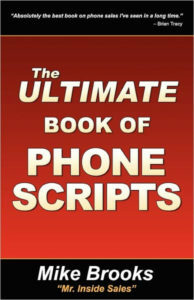 WHY HIRE CONSULTANTS WHO READ BOOKS ON PHONE SCRIPTS, WHEN YOU CAN HIRE THE EXPERT WHO WRITES THEM? Our customized script playbooks immediately make every rep on your team more effective by providing them with the word-for-word, successful approaches to the recurring selling situations they run into day after day. It’s pretty simple: Your team will get more “wins” when they follow a proven, effective approach. To create a winning, customized Script Playbook, you need a proven process that insures buy-in and adoption of the new sales process. We’ve done this hundreds of times and know the best practice approach to getting maximum buy-in from your team. 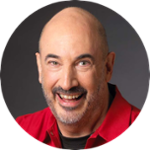 Your takeaway will be a proven, effective, and measureable scripted sales process you can use to grow, develop, and scale a highly successful inside sales team. 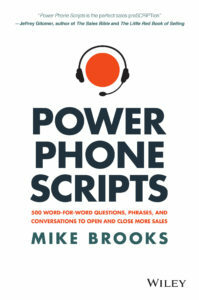 Mike Brooks is considered the “wordsmith” of the Phone Script world. He develops scripts for both B2B & B2C selling environments. Mike’s scripts are endorsed by the president of the AA-ISP, and used by both domestic and international companies. When You Can Hire The Man Who Writes Books on Phone Scripts? 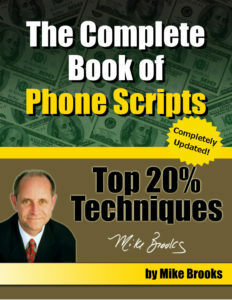 Mike’s scripts are current, effective and non-salesy. 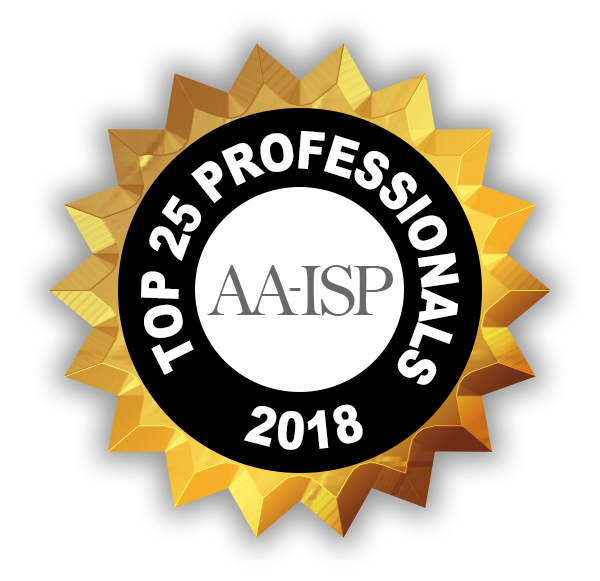 They work in today’s sales environment and help your reps prospect more effectively, and close deals with less resistance. Find Out How Our Best Practice Scripted Approach Will Result in Dramatically Better Results – Within the First 30 Days!